Hardware companies have clustered around industry leaders low in Silicon Valley, as Internet advertising and design has taken root in San Francisco. 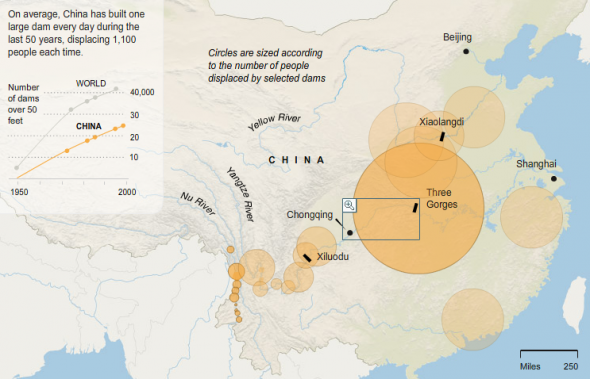 On average, China has built one large dam every day during the last 50 years, displacing 1,100 people each time. The interactive map is a part of the fourth installment of Choking on Growth, a series of articles and multimedia examining the impact of Chinaâ€™s pollution crisis, that I have been working on with other people at The New York Times. In 2006, Saudi Arabia was by far the largest producer of oil, followed by Russia and United States. On average, the United States consumed 20.6 million barrels per day, which made it the largest oil consumer in the world. This interactive map shows the world oil producers, oil consumers and oil suppliers to the United States, and ranks them from the largest to the smallest. Every year, thousands of people set to climb Mount Kilimanjaro, but about a quarter of them fail before reaching the summit. The rest, who succeed, become very ill from latitude sickness. Is it worth the efforts? Check out Tom Bissell’s account of his painful and exhausting climb to the summit of Mount Kilimanjaro. 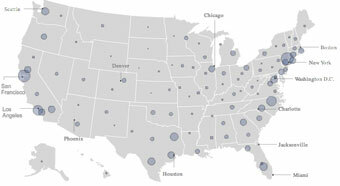 The interactive map shows campaign finance data for each presidential candidate in the 2008 election. The version I worked on that won an award was published in 2007. It has been subsequently replaced by the current version on the site. 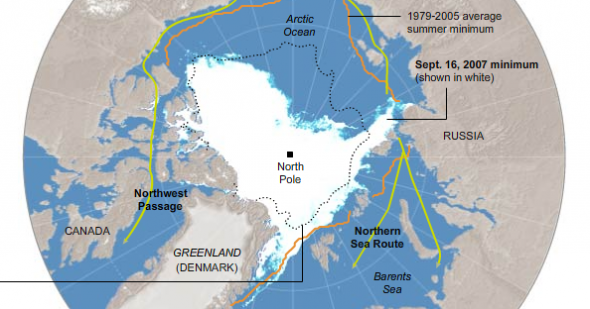 This summer saw a record-breaking loss of Arctic sea ice. 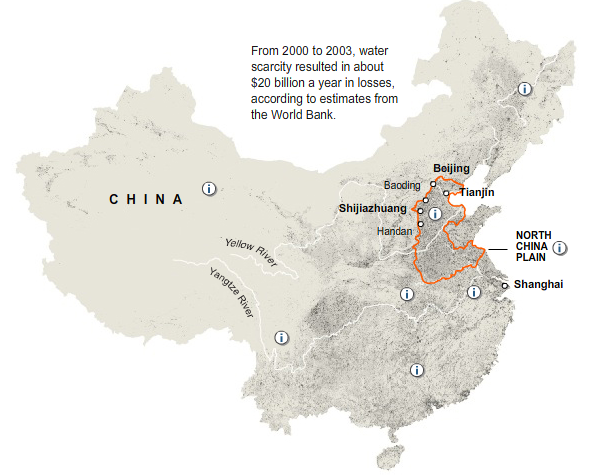 Water-scarce areas in China are among the most densely populated and economically active in the world.